Commercial roofing services for Chattanooga, Tennessee and surrounding areas. Our installs regularly span over one million square feet. Our partners help us deliver the highest quality products. Take a look at our gallery to see some of the amazing jobs we have completed. Contact us today for a free quote and let us show you the difference. JDH Company, Inc. is a commercial roofing and sheet metal contractor who specializes in EPDM, TPO, Modified and Built-up Roof Systems. We are an approved installer for many different roof systems. 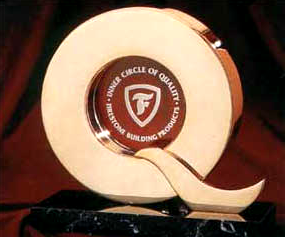 We are Versico's Knighthood Award and Firestone's Q Award recepients. These awards recognize quality and workmanship. We have also received Firestone's coveted Master Contractor Award more than eight times. JDH Company is a member of the National Roofing Contractors Assocation and the Tennessee Association of Roofing Contractors. It is JDH Company's mission to serve our industry and community with top quality services and products in a timely, cost effective, and professional manner to build and maintain lasting relationships. JDH Company focuses on quality and performance while completing jobs on time. JDH Company has built a large client list from years of reliable work. We deliver what we say we will. The quality of our workmanship has won awards and landed some of the largest contracts in the southeast. We support the products and services we offer. Have questions or concerns? Let us know. Copyright © 1997 - 2019 JDH Company, Inc.